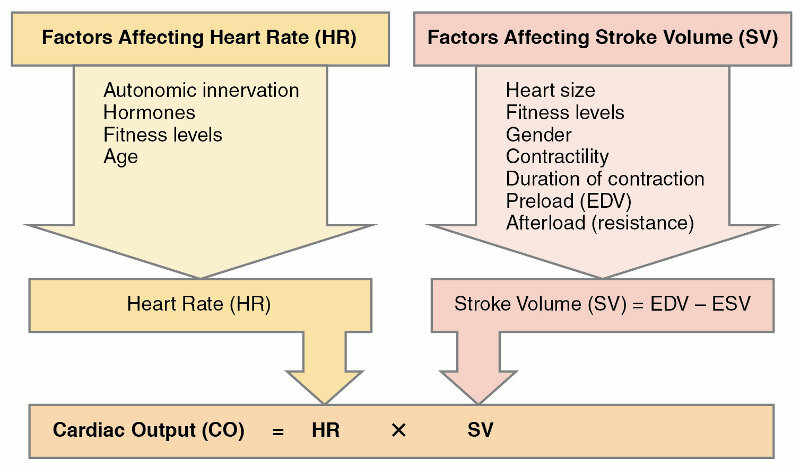 Oxygen-depleted blood from the body enters the right atrium of the heart and is pumped into the right ventricle and thence through the pulmonary artery into the lungs. 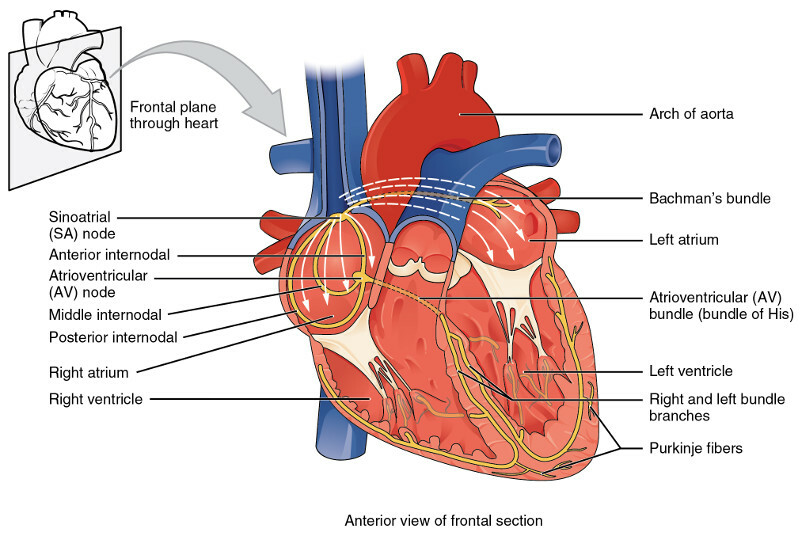 (The figure is somewhat confusing because the lungs are shown above the heart, about at the place of the brain.) 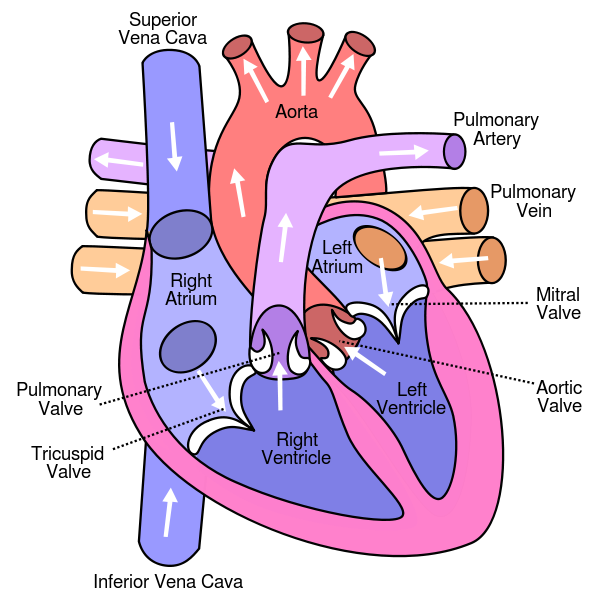 After picking up oxygen in the arterioles of the lungs, the blood returns through the pulmonary vein into the left atrium of the heart. It then is pumped into the left ventricle and out into the body. 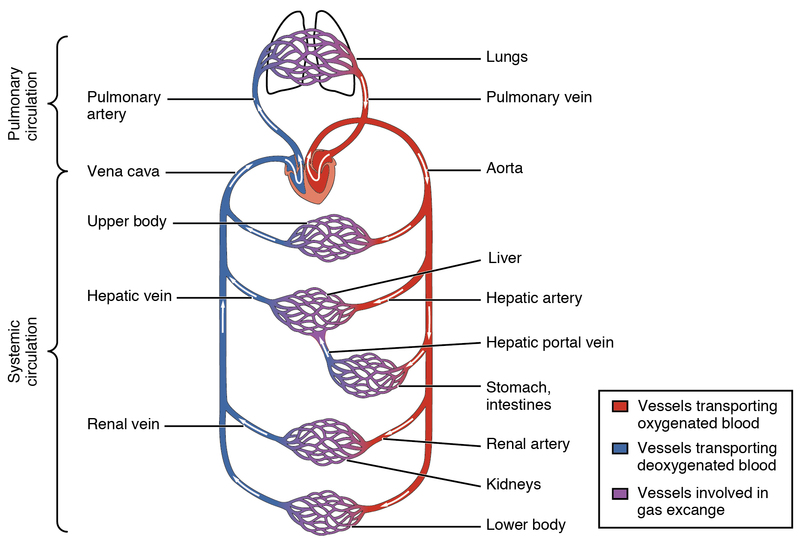 In capillaries, oxygen passes into cells and the oxygen-depleted blood is then returned to the right atrium through veins and either the superior or inferior vena cava. [ref]Remember, veins flow towards the heart, whether they contain oxygenated blood or not. 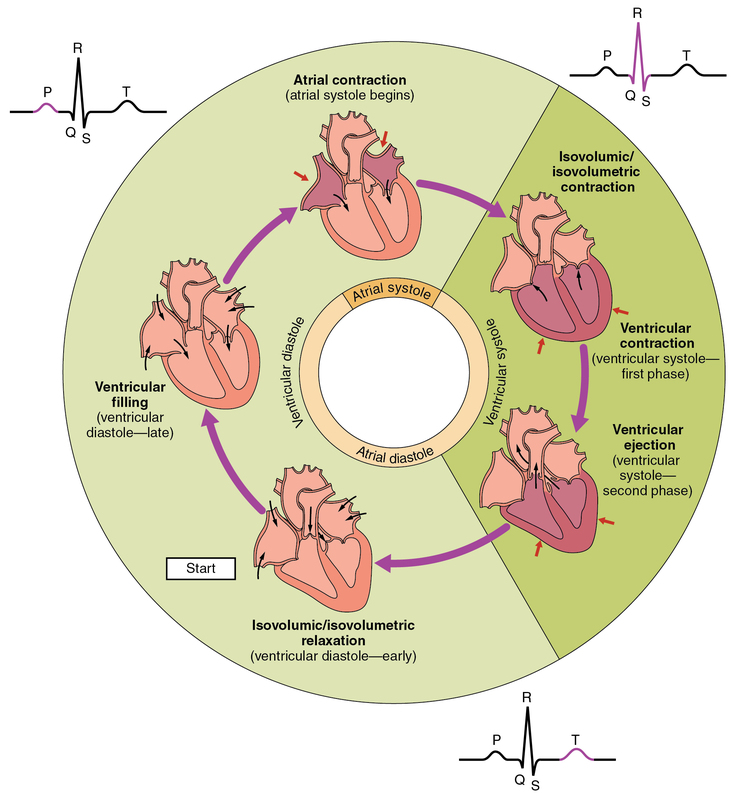 [/ref] Four valves – the mitral, tricuspid, pulmonary and aortic – keep the blood from flowing back in the wrong direction. Blood is considered to be connective tissue. [ref]Obviously, it is not one of the others. 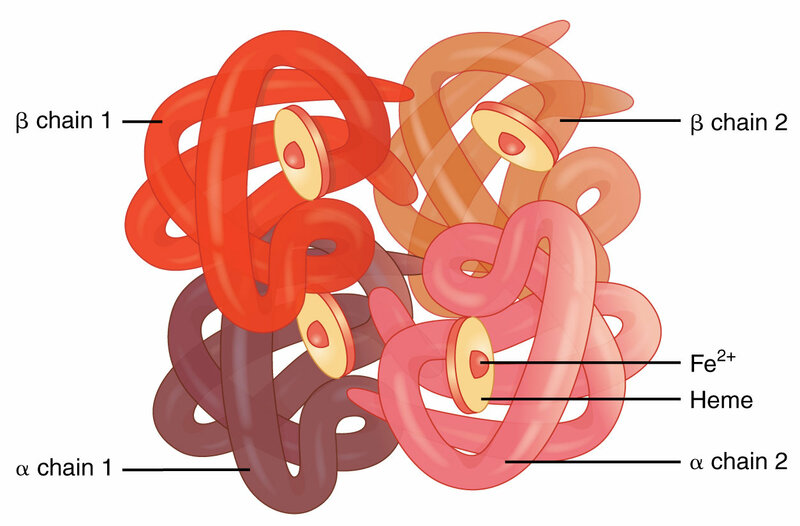 [/ref] Connective tissue consists of cells which are relatively far apart, compared to epithelial cells, and which are dispersed within a matrix, usually a liquid. The cells of blood, called the formed elements, float in an extracellular matrix called plasma, which is mostly water. 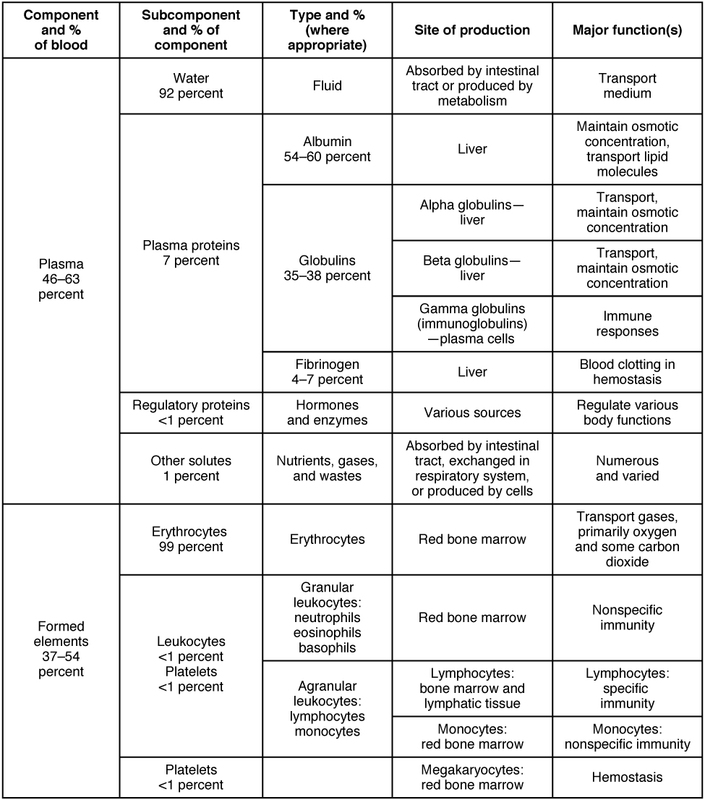 The components of blood are shown in the following table.